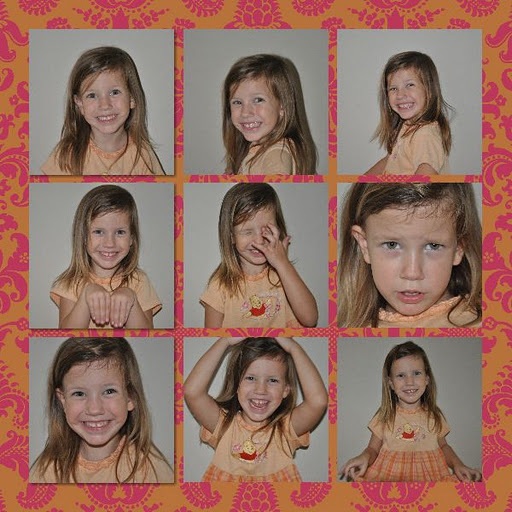 Last month, I had the chance to download – for free – some digital scrapbooking software to try it out. 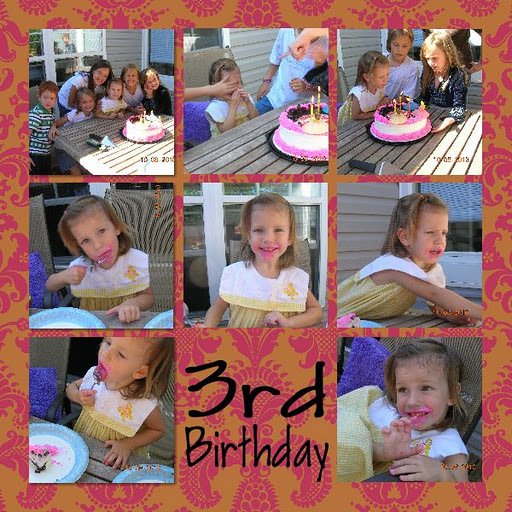 My earlier post with photos from Mary’s birthday was made with this software. It is super easy. I made a few more pages, and turned it into a movie. The quality I chose was “web-quality” which is fairly low-quality. I did have other options, with higher resolutions, so I assume that they would be even nicer (but would be annoying slow for a browser). Since I promised My Memories that I would do this review weeks ago, I don’t have the time to fully investigate the software’s many options. What I did use was simple to manipulate and customize to suit my personal taste. I am not a scrapbooker, because I just don’t think I’m that artsy…I’m more of a written word kinda gal (hence, I blog). But I do think the ease of this software and the many templates available in the package or online (some are free and some are for a price) will help even a right-brained type like me be able to produce lovely keepsakes for their children. And if you are the creative type, I’m sure you will find even more uses with the program. Now, My Memories is so wonderful that not only did they give me their software for free, they have offered to give the software away to another lucky person. In order to be eligible to win, you must go to their site and then come back here (or on FB) and comment on your favorite template or background. If you “like” them on Facebook, tell me that you did so, and I will enter your name a second time. And if you visit their blog, let me know that, too, and I’ll enter your name a third time. Contest will be open until midnight on Sunday, October 16th. Sometime on Monday, I will randomly pick a winner. That's pretty cool. I like that you can make it a video. I have other software for that, but it's expensive. I can see where this would be good for a person who doesn't want to spend too much time and money, but still wants something nice. My favorite is the “Beachy” Designer Pack. That would work well with my pics! AND I just liked them on FB! I've never seen these before. What a cool idea. I'm gonna go with the Seascape or Another Day in Paradise as my favorites. I have lot's of beach pictures from our summer vacation. The Morning Mist template is really pretty. Bluesy-greensy, like a walk on mossy moist stones down a hillside at dawn. Melissa, you are the winner! Thanks for playing ladies!